The registry keeps growing when you use Windows, so does the obsolete items in the registry, which would eventually lead to performance degradation and even system crash. 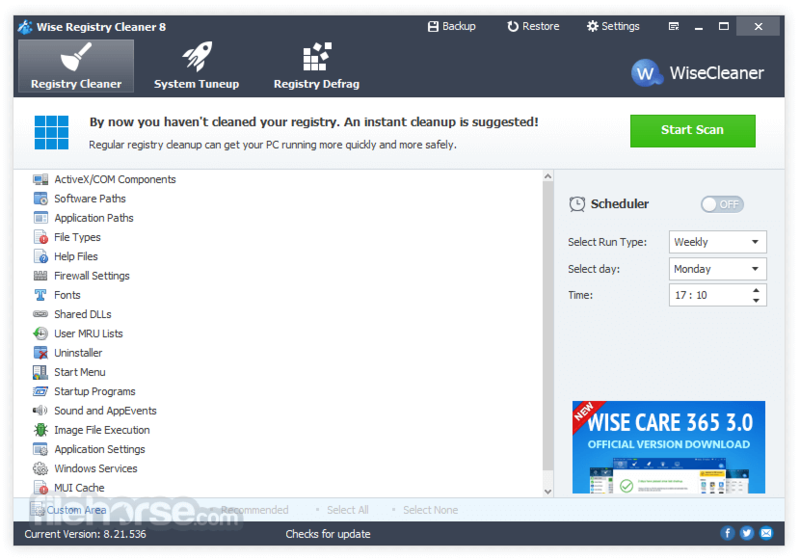 It scans the Windows registry and finds errors & residual items in the registry and then cleans or defrags them. 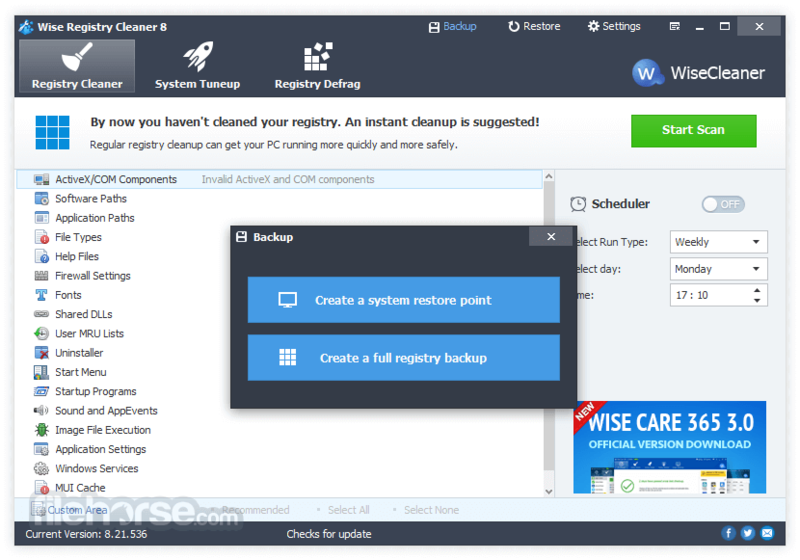 By fixing these residual and corrupted items in Windows registry, your system will run faster and more stable. 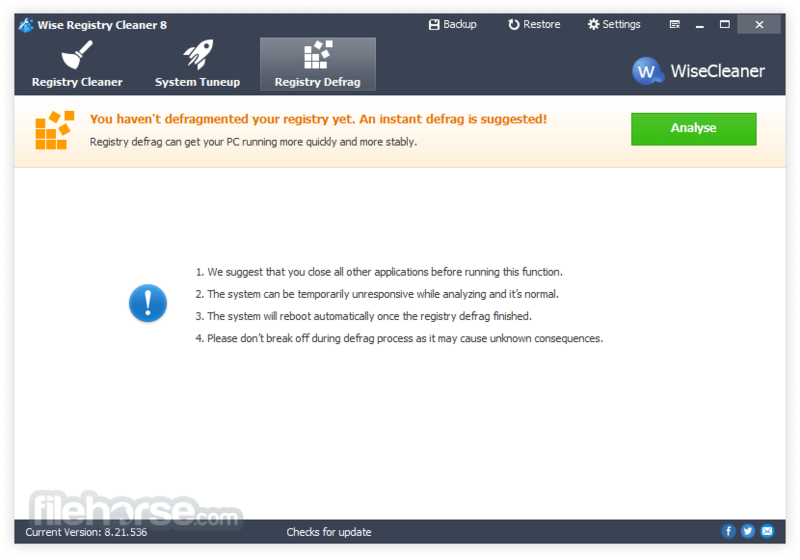 Other than cleaning up and defragging the windows registry, It can also optimize relevant system settings to improve both system speed and internet speed. 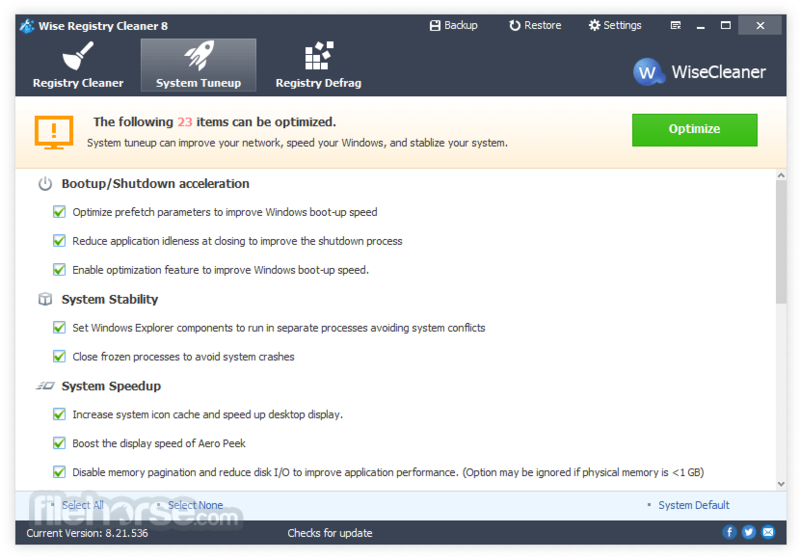 After one-click optimization, you will see some improvement in your PC’s performance. You can specify to run a normal, safe, or deep registry scan. Custom areas of the registry can be scanned for things such as invalid file extensions, obsolete startup program entries, invalid software paths, and many more. 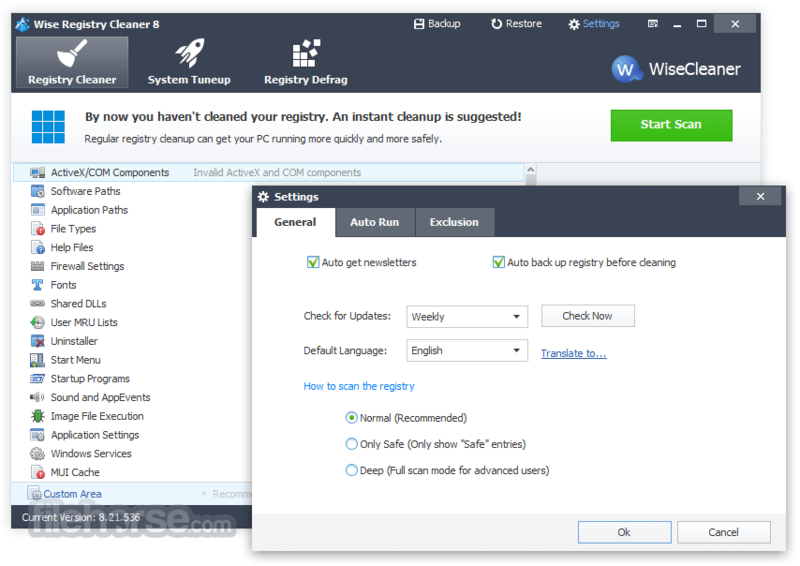 Exclusions are allowed, so you can tell Wise Registry Cleaner to avoid cleaning any registry items with specific words in them.